Cut the cake!! We’re celebrating a birthday today, or maybe it’s an anniversary? 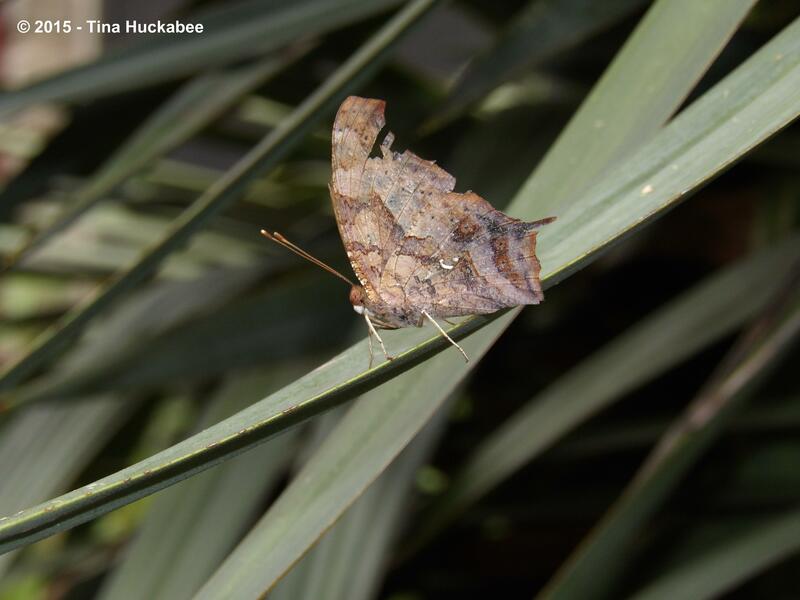 Whatever it is, it should involve cake (as everything should), and more importantly, a hats-off to you garden bloggers who made Wildlife Wednesday so much fun this past year. Each first Wednesday, notwithstanding my own angst at readying my post for publication, I eagerly awaited the fascinating stories and stunning photos that graced my screen at the click of the mouse. Thanks to all of you for what you taught and shared, and for your enthusiasm and participation–Wildlife Wednesday wouldn’t exist if it wasn’t for you! And if you’ve read, but never submitted a post, please do–I know I’m not the only one who enjoys reading about wildlife in our back yards. What has this year of hosting Wildlife Wednesday meant to me? 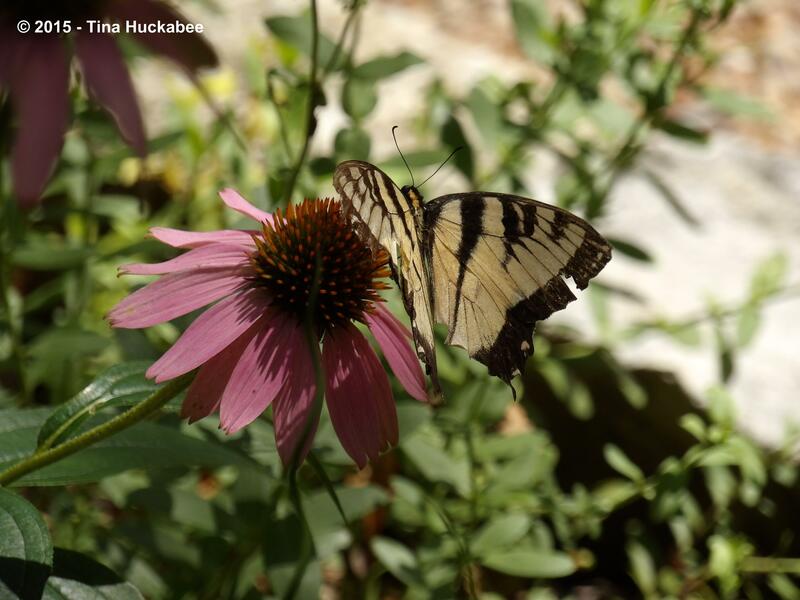 Aside from the knowledge I’ve gained by observing and identifying wildlife and also with photographing that wildlife, I’ve come to better appreciate what lives in and contributes to my gardens. I’m awed at the complicated and remarkable interactions of that garden life. I’m more committed to welcoming and nurturing the dynamism of the natural world, even if, or perhaps especially because, it’s in the microcosm of my own little urban garden. So on to the wild visitors who graced my space this past month! 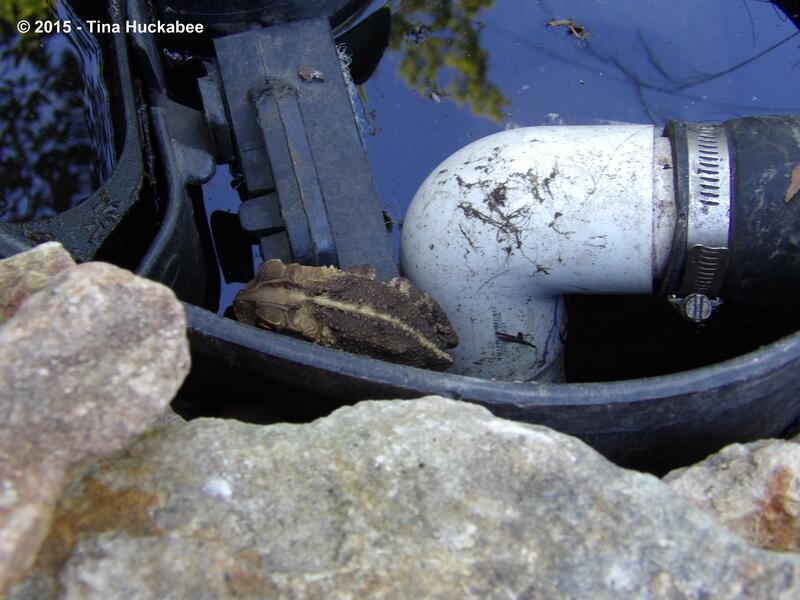 When the pond pump gurgles and croaks, it’s time to clean out the filters. It’s not a chore I particularly care for, but one that yields yummy food for the resident roses and often, a sleeping toad. 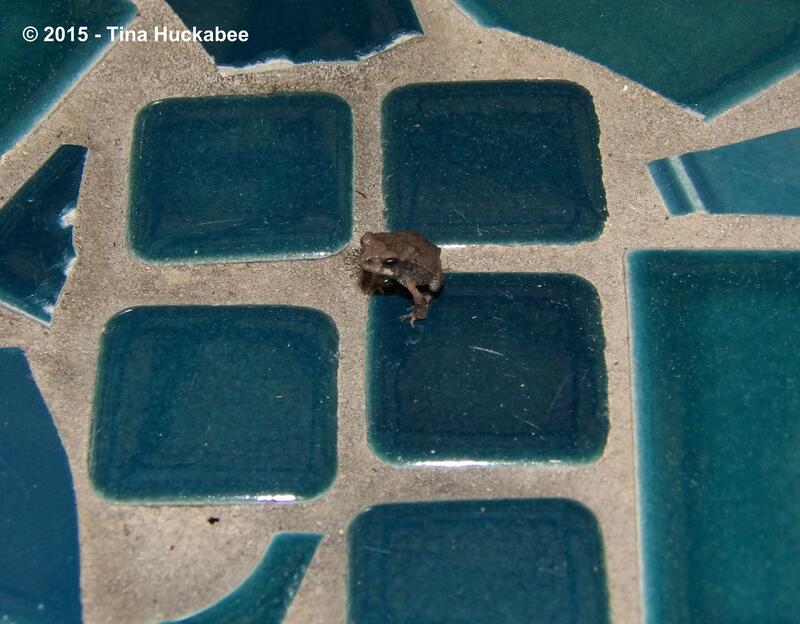 I think the toads in my pond are Gulf Coast Toads, Incilius valliceps. They’re in the pond at night, and in the various quiet and dark places during the day, including the pond pump and intake container. …but I’ve seen a few that were smaller. 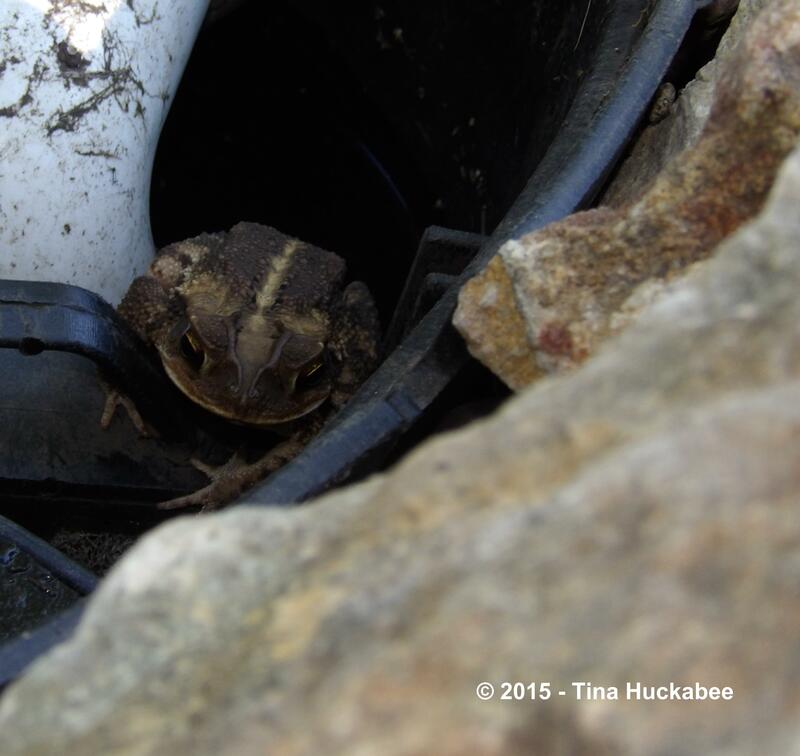 The croaking of the adult toads ebbs and flows in my back garden during spring and summer. I’ll hear them at night for a week or two and then there is blessed silence for a few weeks. I once read that toads are favorites of Eastern Screech Owls, Megascops asio, and my assumption is that the owls hunt the toads to the point where there aren’t many adults left. A few weeks elapse for the new generation of toads to reach sexual maturity and then they’re back at it again–letting other toads, and the owls, know where they are. 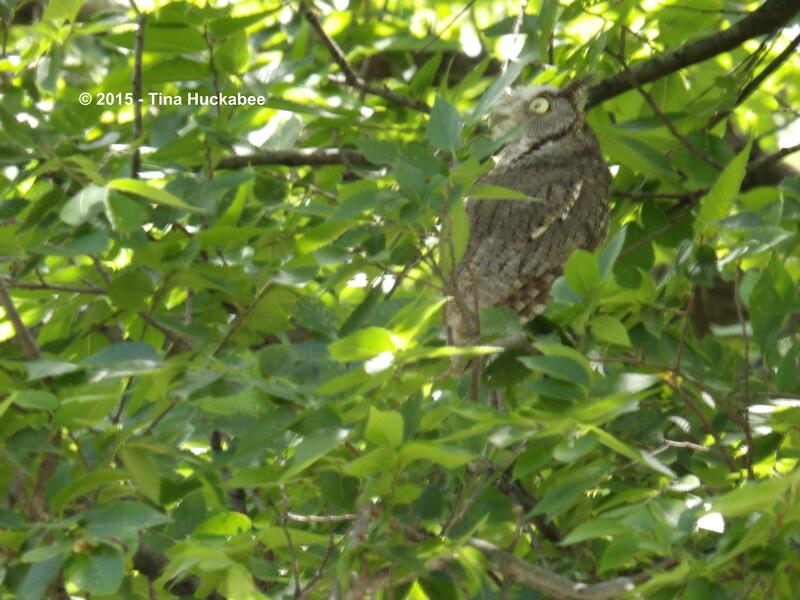 The Screech Owl couple is still around! Though they suffered a squirrel-induced end to their brood this past spring, there is apparently enough for them to hunt (see above paragraph) and they hang out now in the back neighbor’s trees. If I’m out at sundown, I’ll see one, rarely both, swooping silently through the trees as they begin their forays into the night. 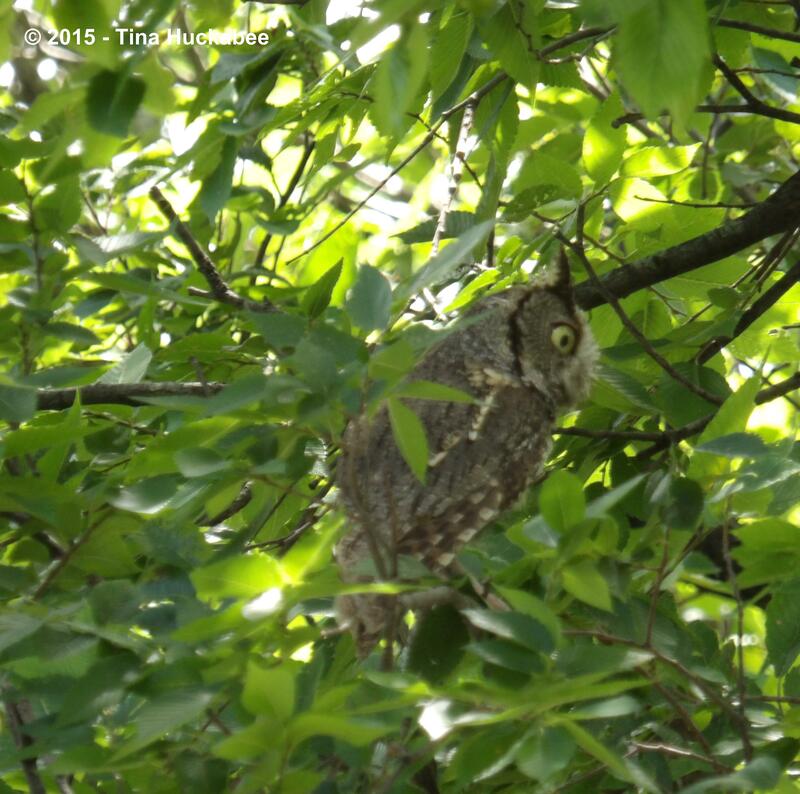 One afternoon, I heard noisy Blue Jays and witnessed Mamma Owl harassed by a group of Blue Jays. She turned this way and that, as the Jays flew near to her and squawked, registering their protest at her roosting in the tree. Eventually, the Jays gave up their bullying and moved along and, as if obnoxious Jays aren’t enough, she spotted garden paparazzi gawking and snapping photos. I’m pleased that the owls are still in the vicinity and if this year is representative of past years, they’ll remain through mid-summer and then, scarcely, if at all, be seen. But sometime in December or early January, the trill of the male will once again be a fixture after sundown and the owls will take their place in the thread in the garden’s fabric. 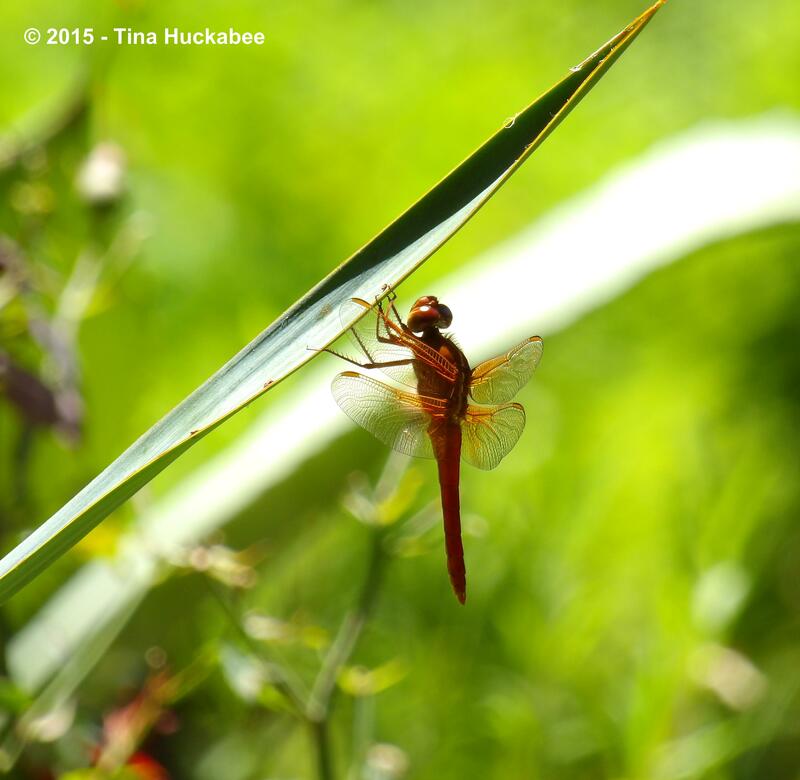 One lazy, relaxing weekend afternoon, I was treated to the posing of this Neon Skimmer, Libellula croceipennis. A handsome male, he rested, keeping company with me for quite a long time, him on the foliage of the Softleaf Yucca, me in the swing. There are lots of dragons and damsels this year, owing to our inordinate spring rainfall, but they’re always welcome in my garden. This male Blue Dasher, Pachydiplax longipennis looks like he’s staring me down, just daring me to take his photo. 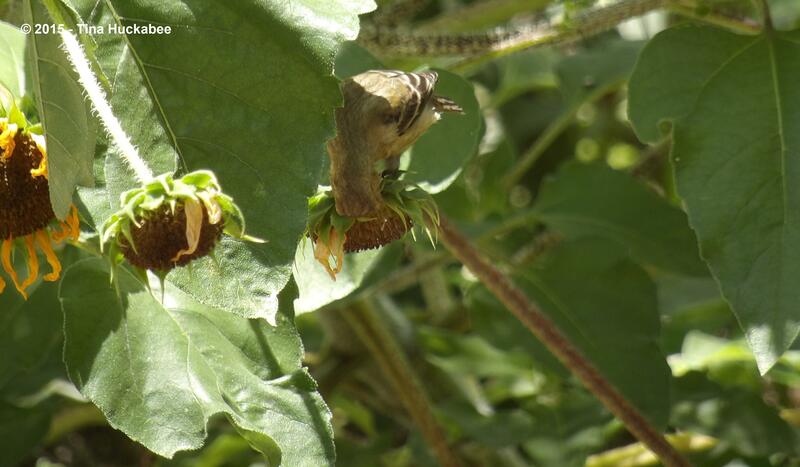 The butterflies and their offspring are active, as well. Fennel is a popular hangout for Eastern Black Swallowtail caterpillars, Papilio polyxenes, like this one. I like photographing the caterpillars; they don’t move as rapidly as the adults. 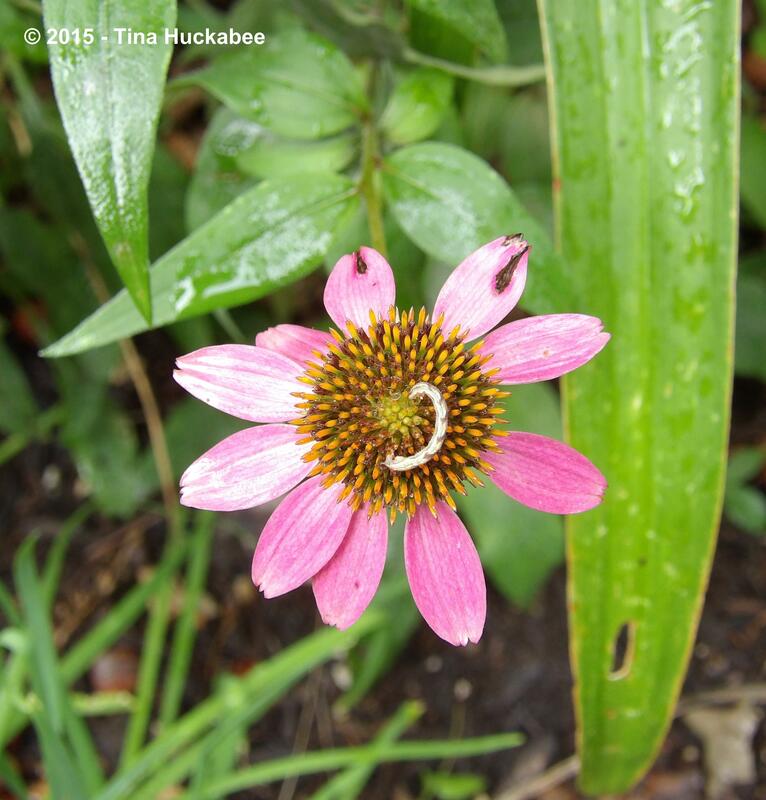 An unwelcome guest, or I should say guests, enjoyed some of the Purple Coneflower blooms. I never narrowed down the identification of this caterpillar. 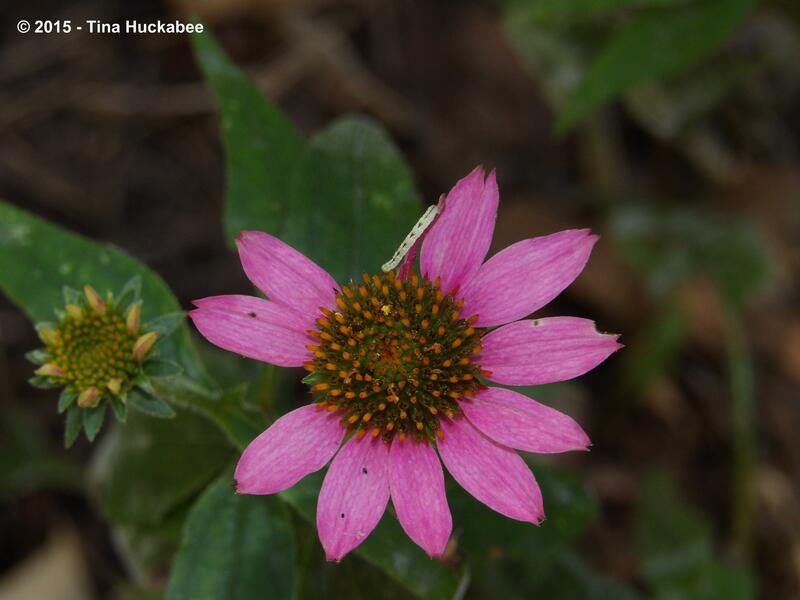 Normally, the Purple Coneflowers have no insect problems, but given our tropical-like conditions this year, it’s not shocking that there are more “bad” bugs. There are in fact, very few bad bugs-in my gardens or anywhere else for that matter. 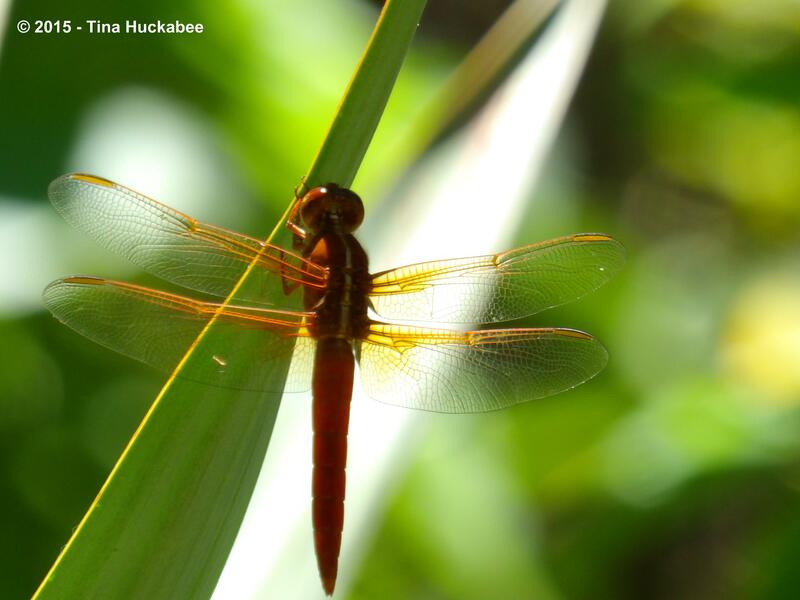 Most insects are beneficial, some are neutral, and only a very few are harmful to plants. Even these Coneflower fiends didn’t do much damage. A petal or two went missing, but that’s about it. I left them where I found them on the flowers. There are a few insects that I’ll get rid of like aphids and some of the sucking insects that attack my veggies, but other than that, I take a benign view and limited actions toward insects in the gardens. Except for cockroaches. I detest cockroaches. 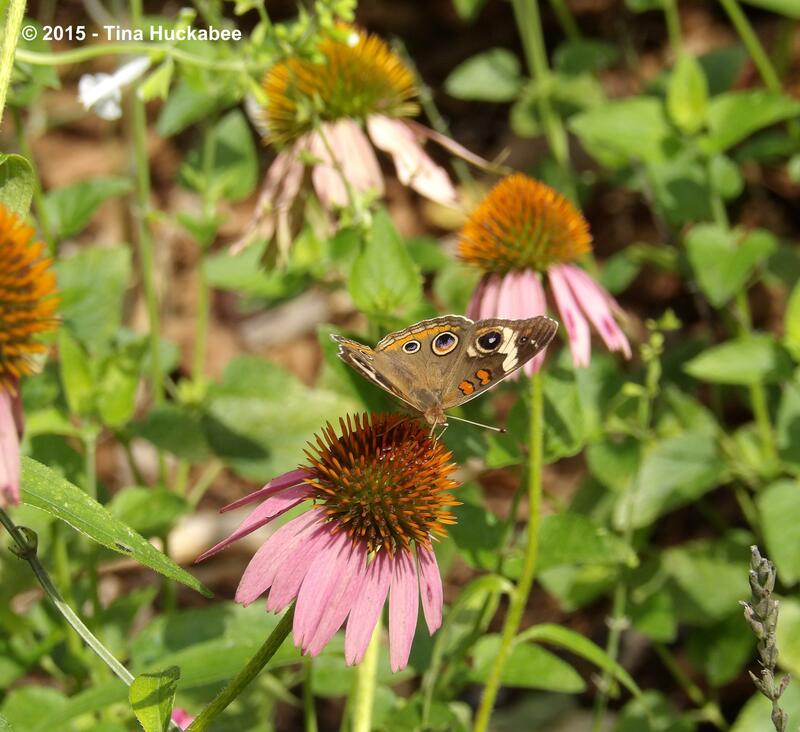 I’m tickled that my gardens are hosting Common Buckeye, Junonia coenia, this summer. Despite the name and that they’re regularly found in this region, I rarely spot adults feeding in my gardens. I am growing native ruellia (Ruellia drummondiana) that have matured and that plant is a host for this species of butterfly. 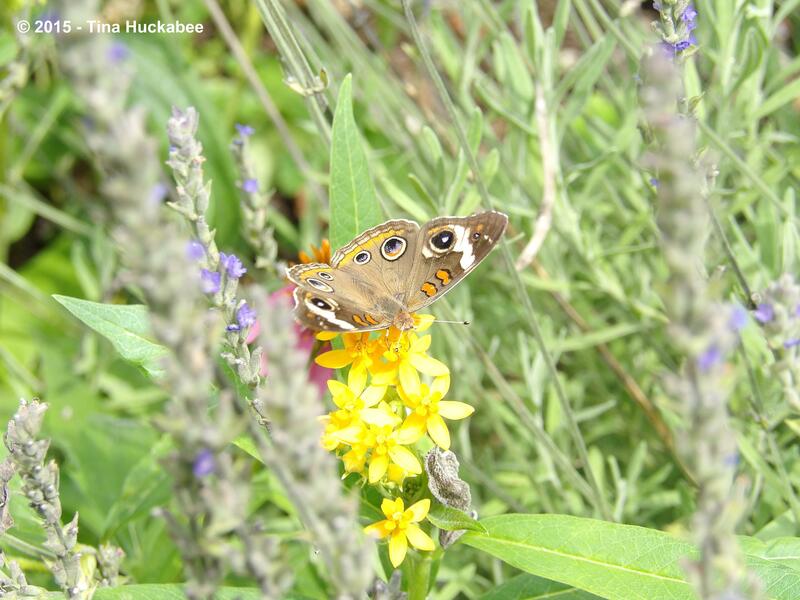 I wonder if the ruellia is the reason for the Buckeye visits? …but I would have done well to get side and overhead photos to better view the wings. 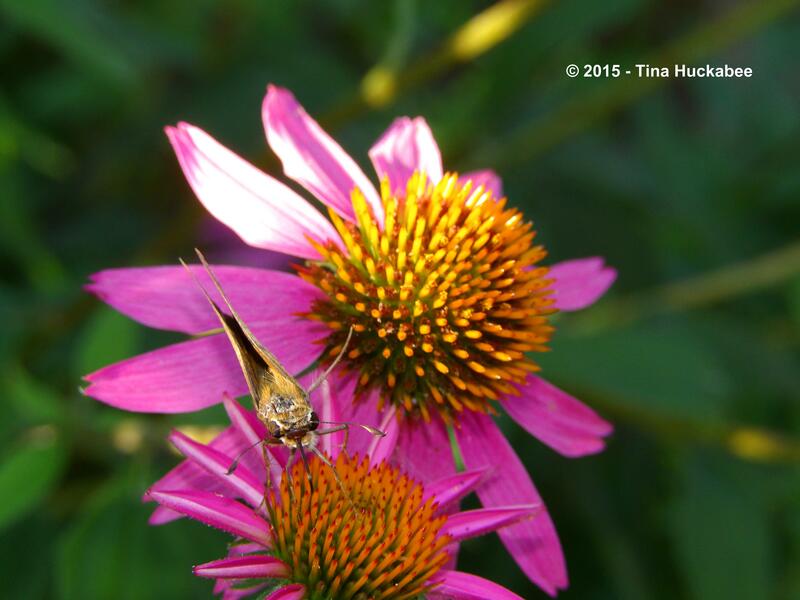 …like so many others, enjoys the bounty of the Purple Coneflower. I’m glad that I grow Purple Coneflowers in my gardens. Apparently, so are the pollinators. 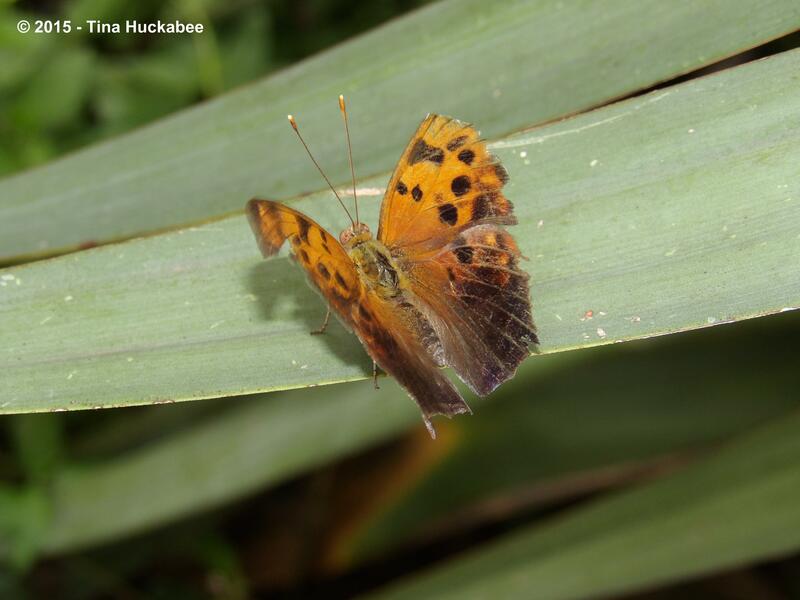 Another butterfly visiting on a regular basis is the Question Mark, Polygonia interrogationis. Latin species name notwithstanding, I never quite understood the “question mark” part of the name. Here’s a good shot of why it’s called a Question Mark. See the little white curved mark and the dot on the underside of the wing? To me it looks more like the musical notation, fermata. I suppose Question Mark butterfly rolls off the tongue more easily than Fermata butterfly, but I would have named it differently. 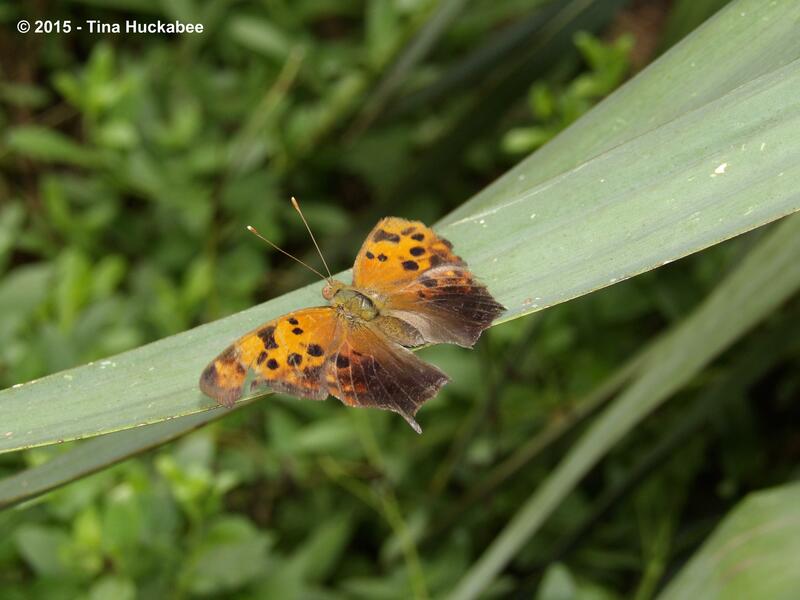 These butterflies prefer rotting fruit, dung, and tree sap and only if those are not available will they sip from flowers. I often see these butterflies in my compost bin. I guess that’s one good thing that comes from not regularly turning the compost pile. On the pollinator favorite, Zexmenia, Wedelia acapulcensis, is a native Mason Bee, Osmia subfasciata. Zexmenia is an unassuming little perennial which blooms throughout the growing season and there is almost always something feeding on its flowers or foliage. 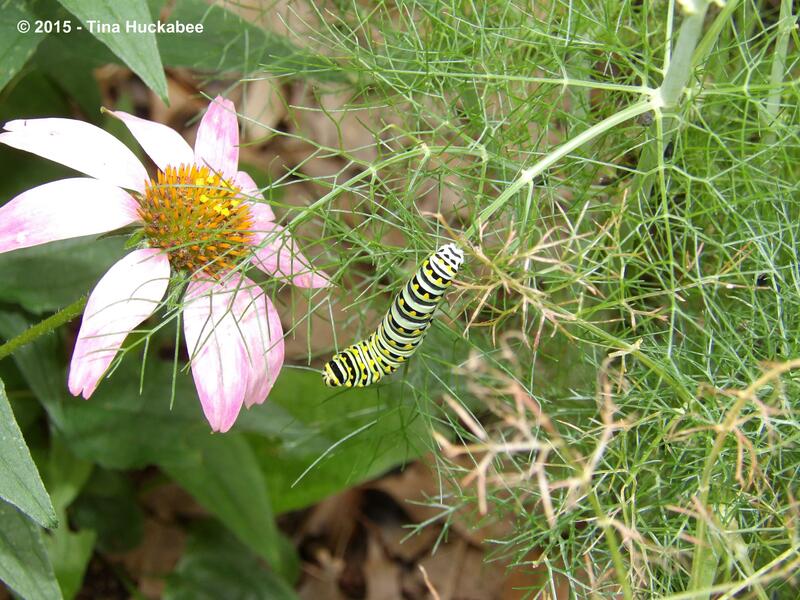 It’s a must-have plant for the wildlife gardener in Texas. I confess that I’ve always felt a tinge of guilt about making a place for this passalong daylily. My decisions concerning plant choices rests with several questions, a chief one of which is: What does it feed? I’ve never noticed anything eating from this flower and therefore couldn’t really give a good reason to host this plant in my not-so-big urban lot–except that it’s pretty. I’ve rationalized it as one of the junk-food plants that I occasionally indulge in. Well as it happens, this non-native, but Southern garden summer bloomer, is a favorite of native, metallic sweat bees in the Halictidae family. 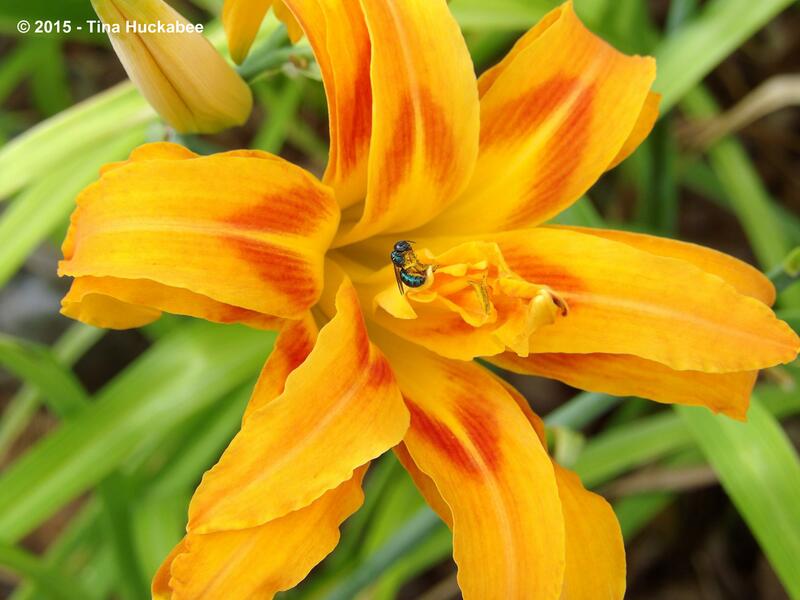 I won’t hazard a guess as to the exact identification of these bees, but several of them liked the daylilies well enough to regularly visit the blooming lilies. 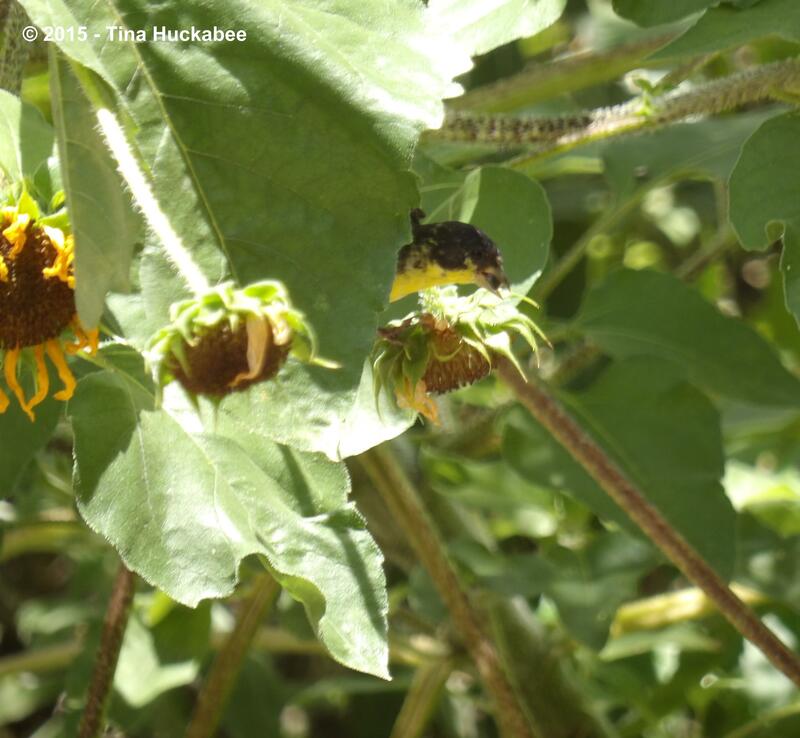 The Horsefly-like Carpenter Bees, Xylocopa tabaniformis, are still dominating the landscape. 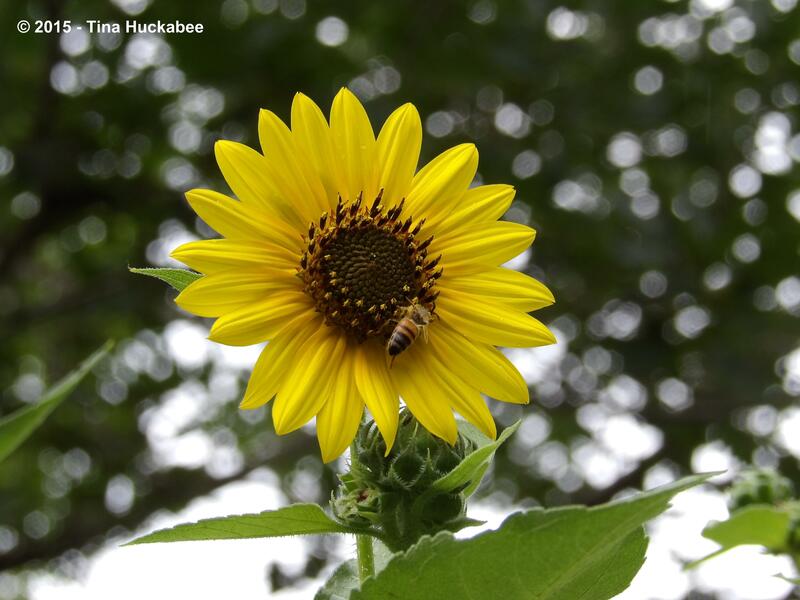 They vie with the honeybees for the Best Bees of the Garden award. 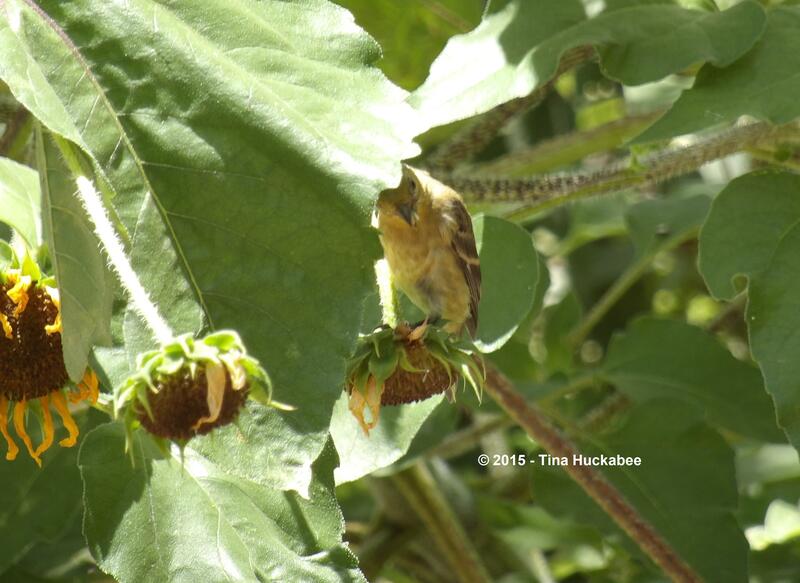 Lessers, like most finches, love seeds, and I thought that she was munching seeds, until these shots! Yummy petals! 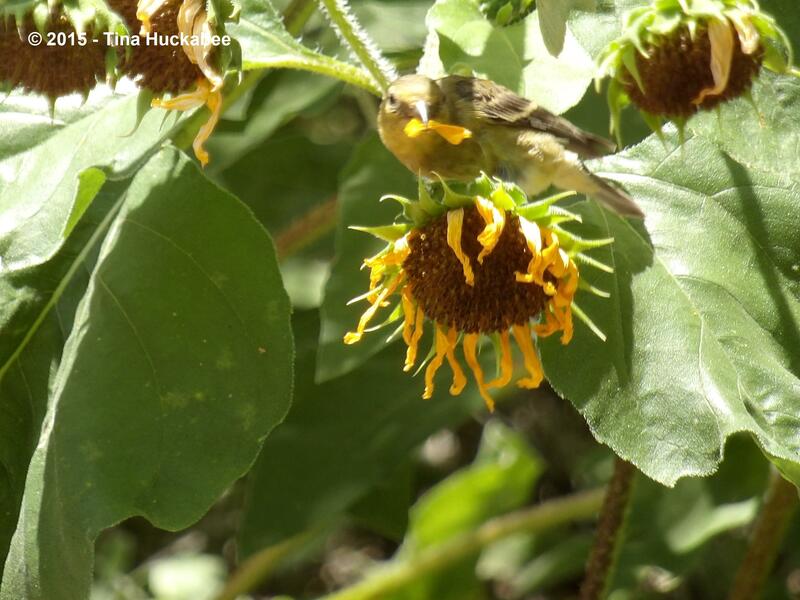 The Cornell Lab of Ornithology site that I’ve linked to mentions that Lessers will “…occasionally supplement its diet with insects such as plant lice.” Maybe she was eating lice, but it looks to me like she just needed her leafy…yellows. 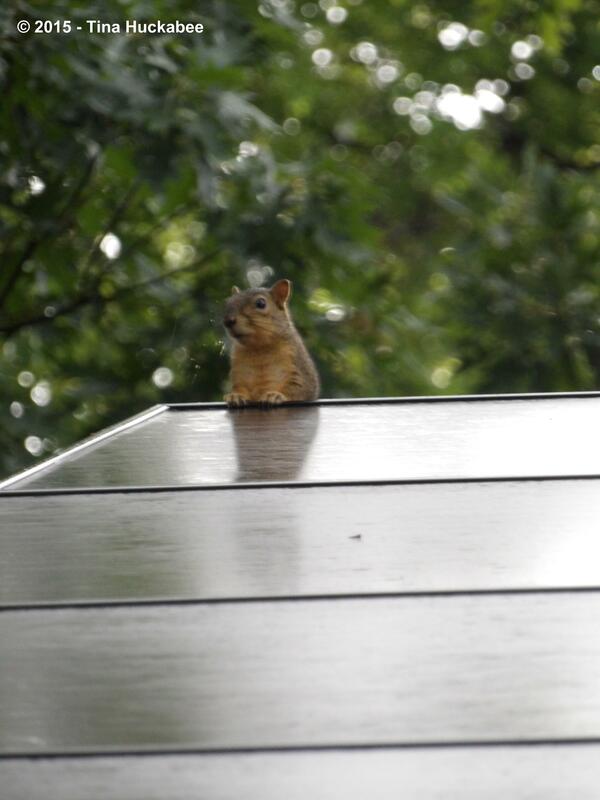 Lastly, I couldn’t resist this shot of an Eastern Fox Squirrel, Sciurus niger, taken early one morning, as he was draped along the edge of the roof solar panels. He looks like he’s hanging out, deciding what to do for the day. Do I raid the bird feeder? Or scold the cat? Or chase other squirrels around the tree? Dig holes in some potted plants? So many things to do! I know squirrels are pests, and that they chatter and annoy dogs and cats, and I haven’t quite forgiven one of its kind for ruining the family of my Eastern Screech Owls, but it doesn’t get cuter than that. Maybe that’s why I wildlife garden. For the cute. 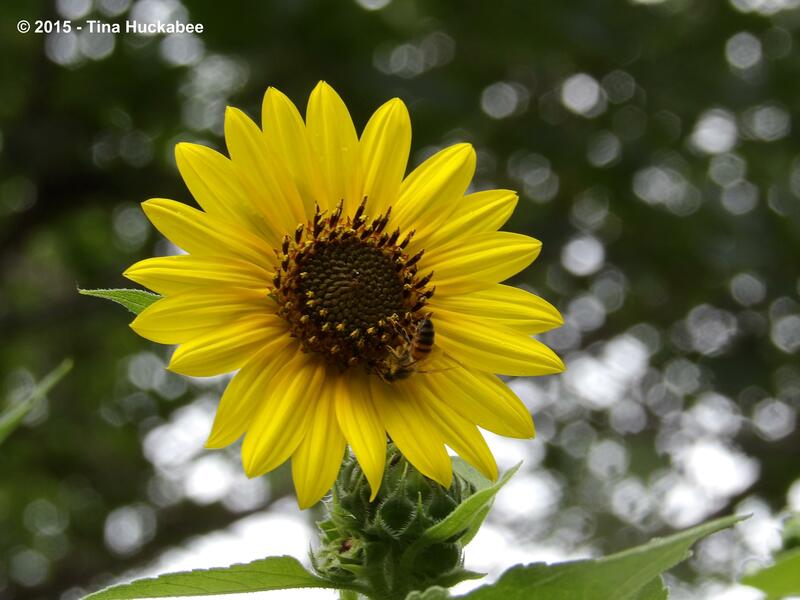 Many thanks to all of you who garden for wildlife, no matter how much or little: you’re part of the solution. I hope your gardens received wildlife visitors this month and that you will join in posting for July Wildlife Wednesday. 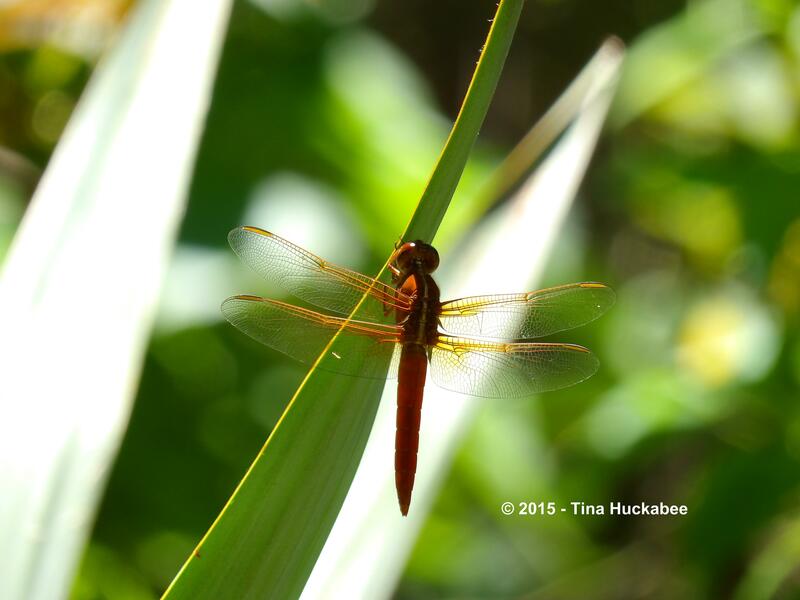 Share the rare or mundane, funny or fascinating, beneficial or harmful critters you encounter. 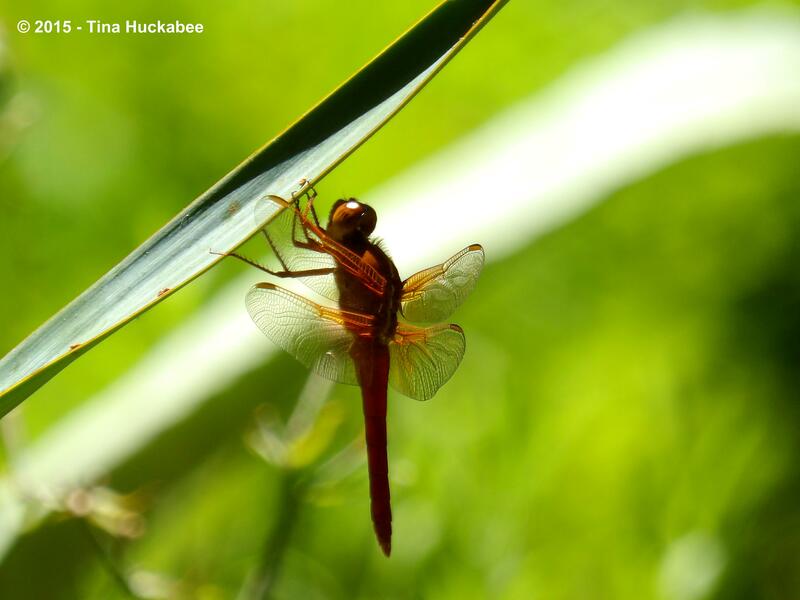 When you comment on my post, please remember to leave a link to your Wildlife Wednesday post so readers can enjoy a variety of garden wildlife observations. 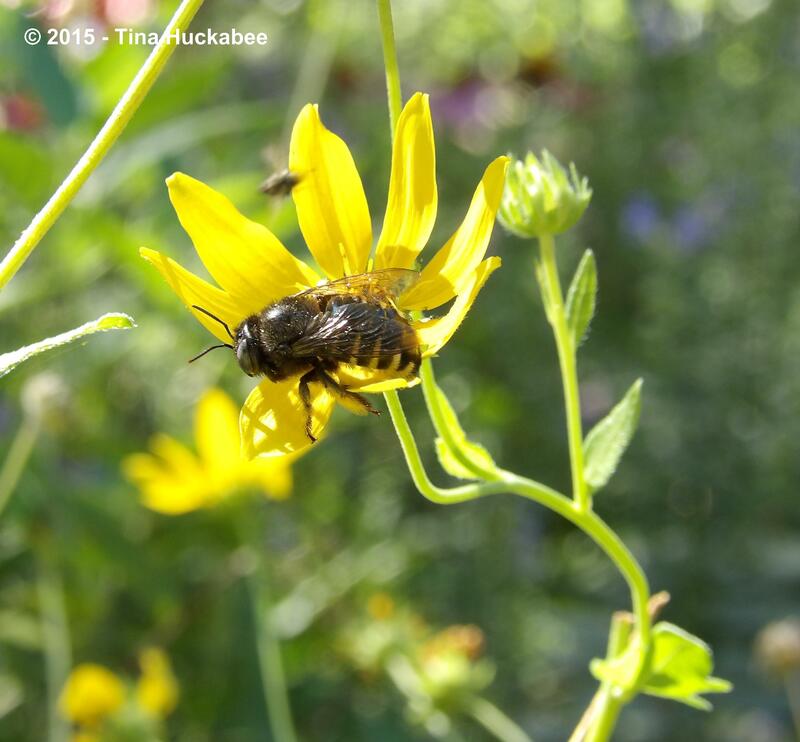 This entry was posted in Wildlife Wednesday and tagged Biodiversity, Wildlife, wildlife garden, Wildlife Gardening by Tina. Bookmark the permalink. Happy Birthiversary! Cake indeed… Your photos are so appealing and I think you’ve captured it pretty succinctly. I too, appreciate gardening for wildlife because of The Cute. 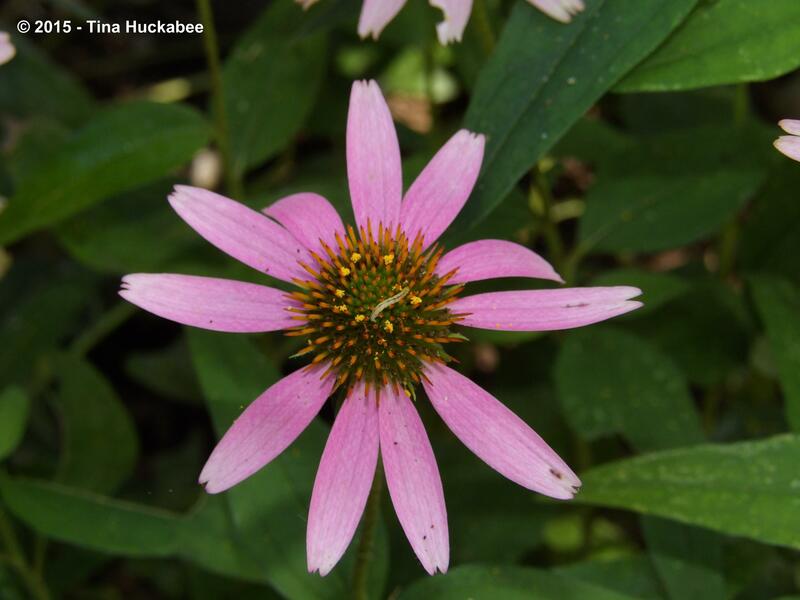 Flowers are lovely but watching flowers as they are visited by all sorts of crawling, flying and singing critters? THAT is the big payoff! I’m glad your owls are still around – they have something to teach us about carrying on I suppose. 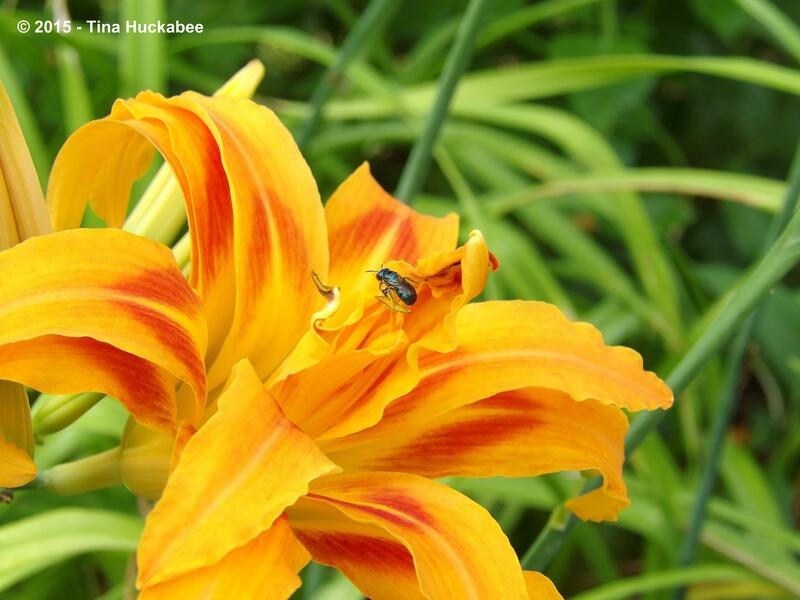 I noticed native bees visiting my own ditch daylily here – and they regularly visit the Altheas as well, so no worries with either of those non-natives. They’re carrying their weight! To follow is a link to my post for this month. Summer humidity reduced me to more of an observer than a commentator this go-round but there’s been action here and I’m tickled to share. Thanks for bringing this meme into the fold Ms. Tina! Yay! Cake! and Happy Birthday Wildlife Wednesday. Plenty of cute here. 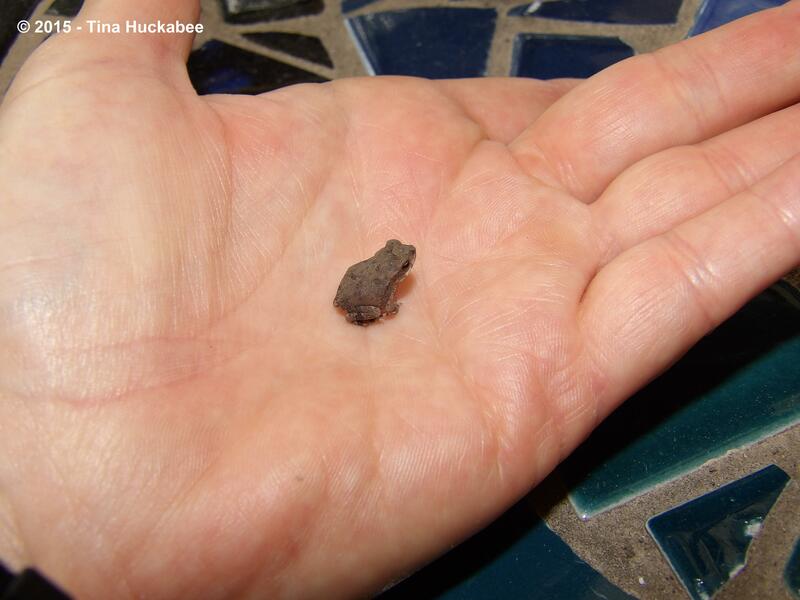 While the squirrel is cute I say the baby toads are even cuter. Love the owl and well … everything. Wonderful post! Your owl is lovely. His eyes are so big and beautiful. I think I’m falling in love… And the toads are so cute, especially the small ones. Your insect life is so diverse. The Tiger Swallowtail is a real treat. As for the cake…German Chocolate for me, please? The Screech Owls are beautiful, really just so lovely. The toads are fun. I forget each year that in June-July that they’re hippity-hopping across the garden. I keep an eye out for them. German Chocolate sounds really good about now…. Thanks, Gina. So glad you joined in. Screech Owls are pretty common here and there is apparently a lot for them to eat. Looking forward to more posts from you! Thanks, Julie. It’s been a fast year, I must admit. 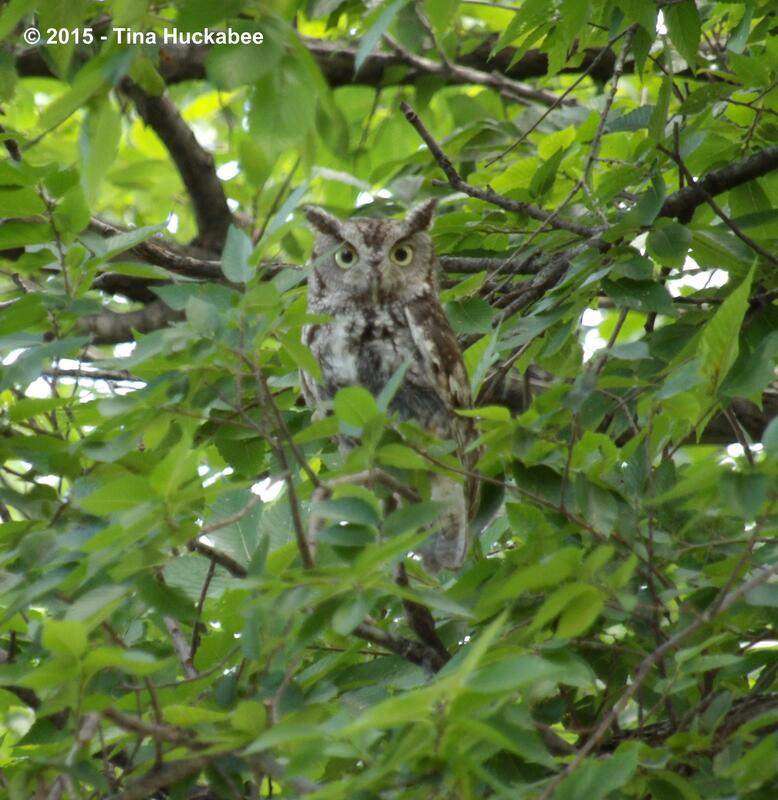 The Screech Owls are wonderful to observe–very interesting! Tina, My reply sent before I had finished writing, apologies for not being organised enough to join in with you this month, I am determined to get it together for next month though, its a wonderful idea to celebrate our garden wildlife. No worries, Julie, though I always enjoy your posts! I look forward to seeing your birds and other critters. Lovely photos with excellent supporting facts. Neon Skimmer looks interesting. Well done on a year. Thanks! I noticed that you had a amsel for today–and a beautiful one at that! Thanks, Frances! There is quite a lot in my gardens, but I’ll bet that’s true for most gardens–we just need to take notice and learn. I was very sorry about the owls’ loss, but I hope they’ll be together next spring and perhaps their family will fledge. Life is perilous. I’m very glad you joined in, I hope you enjoyed particpating. It’s actually hard sometimes to participate in just one meme at at time, as there are so many! You are very welcome!! So glad you and Ms. Daughter are posting again this month–nice to have a young one so interested in wildlife in the garden. Happy Birthday to Wildlife Wednesday! 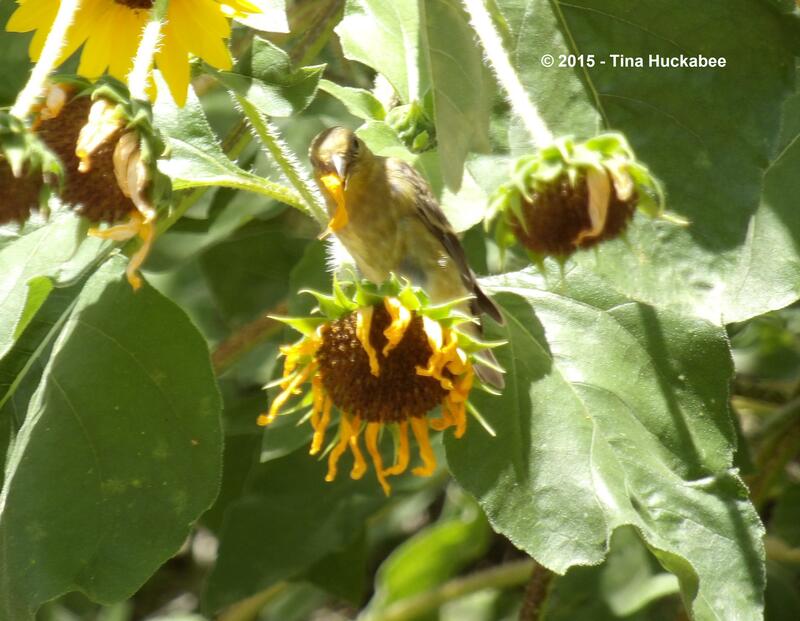 Thanks for hosting this and encouraging us to spend more time focusing on the little wildlife in the garden. Catching the cute in the garden is fun too, even those pesky squirrels! Thanks, Shirley and a very Happy Birthday to you!! I hope it was a good one! Pesky, that’s what squirrels are! 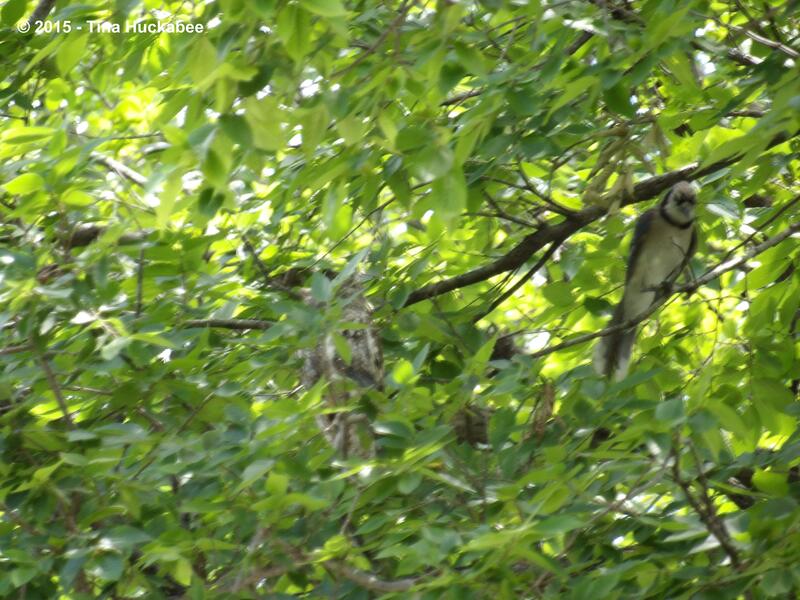 Thanks for participating in Wildlife Wednesday this past year–I always look forward to your posts. Ha! No cake for me today, unfortunately, but lots of good blogger posts, so I guess that’s just compensation. I think wanting to improve my photos forced me to spend more time watching the wildlife, which was an education. Aren’t the toads adorable? Actually, what really offsets calories is when the sweet “breaks”–the calories fall out. Yup, a year. It did fly by so fast. I agree that it’ll be interesting to compare wildlife sightings through the year. I saw Dad Owl this evening in a different neighbor’s tree, so they’re both still in the vicinity. I’m glad for that. 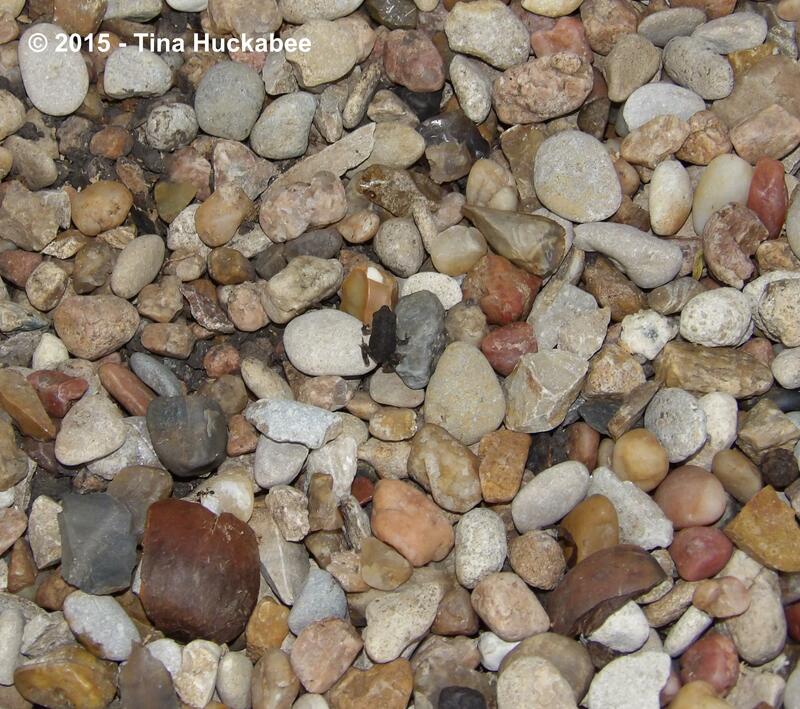 So here we are a year later and well done hosting Tina….I look forward to all the posts. I still wish we had owls but not in my little woods as of yet, but plenty of other critters. Lots of toads here too but we rarely see them. We do hear them at night though and they did recently take a break. With all our rain in June, the butterflies were few and far between although I finally saw a female Eastern Black Swallowtail so I will be checking those herbs I have out for them soon hoping for some caterpillars. I’ll bet you have some owls somewhere, they’re just so shy and elusive. 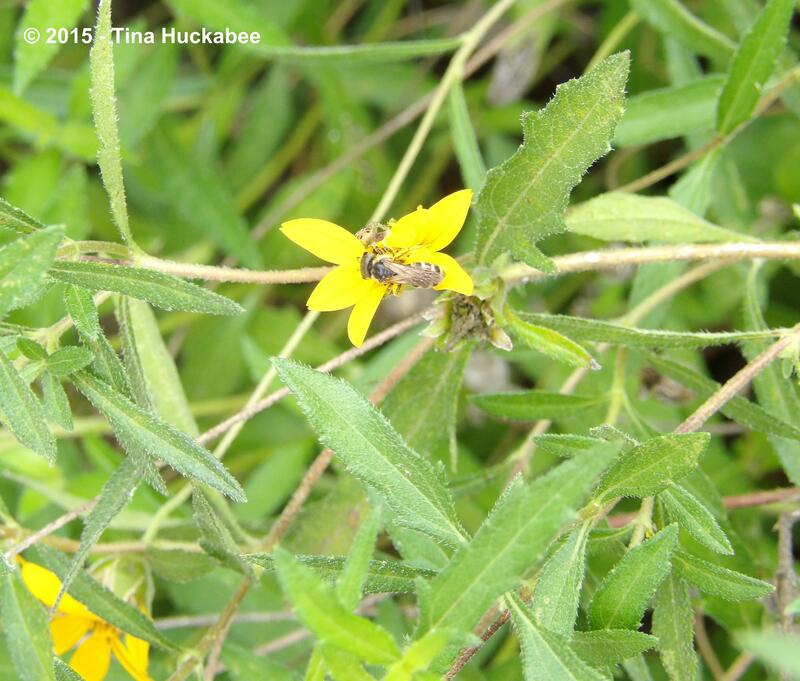 As well, I hope the rain lets up a bit, so your pollinators can get to work! Thanks for participating, Donna–it’s always a pleasure. Thank you, Chloris. I’m glad you’ve read the posts and even happier that you’re participating this month!! I’m not enjoying cake, which is a real shame, quite frankly, :), but I also love my owls. I saw Dad Owl last yesterday, so that’s a good thing. Looking forward to more WW posts from you! I don’t know all the names, sometimes it’s just so hard to distinguish species–but I do make the effort. The little toads are REALLY little. I usually see movement out of the corner of my eyes and there one is, hip-hoppeting under a plant. Interesting about the petals. I guess they do need their veggies! Fabulous post! You have a great selection of wildlife, I especially liked the owl and toad pictures. If there isn’t an Aesop fable about owls and toads, there should be. And while you have question marks, I have commas. We have Monarchs now, but no Swallowtails. There are as yet no ripe seeds in our garden to feed the American goldfinches, but they do come to the nyjer seed feeders. Thanks!! 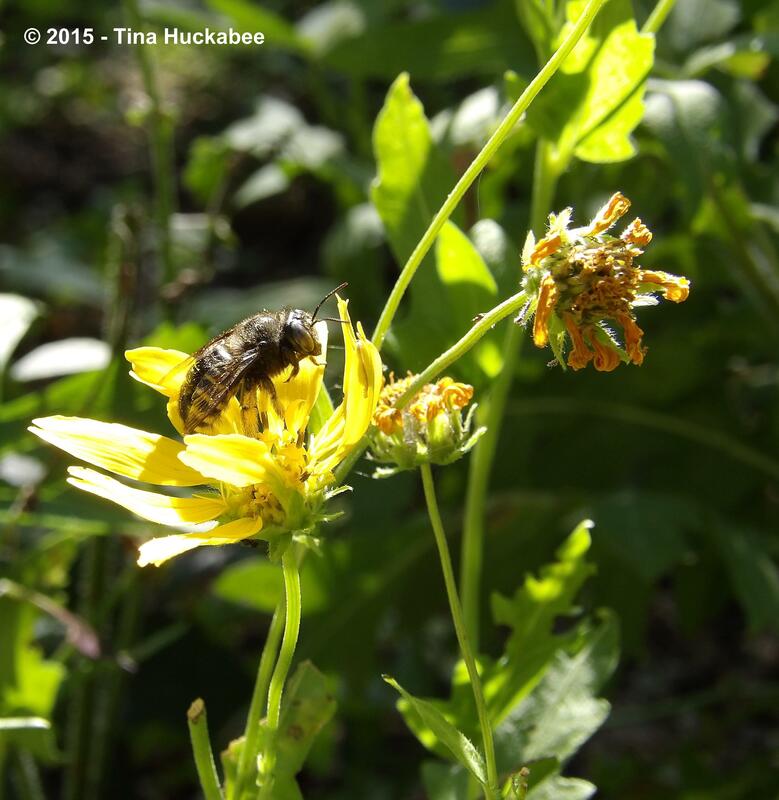 I really enjoy the whole wildlife equation of gardening, so, it’s fun, fun, fun for me to do these posts. Ha! 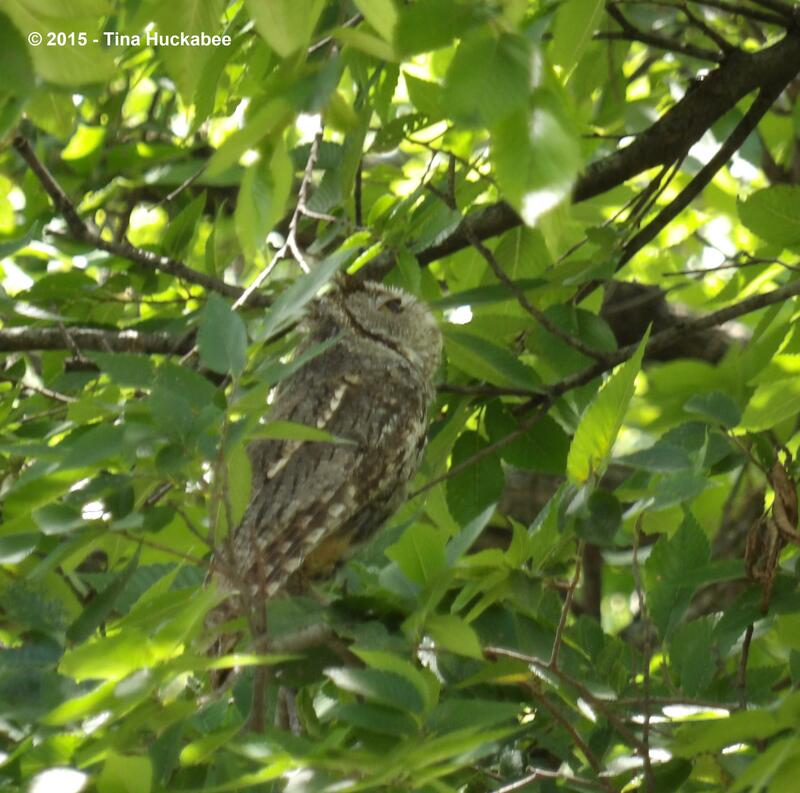 You’re so right about an Aesop fable–there must be one about owls and toads. Glad you’re having the finches visit. They’re so much fun to watch! What a treat to see your owls still hanging around. I never see any sign of ours once the chicks fledge, neither parents nor their young. They just melt away into the trees. It is nice to have them around and to observe. Usually, I’m alerted to the owls by the noisy jays or mockingbirds. Happy Anniversary and I will try to join next month! The owl is so cute, and the little toad, aahh… I would love to have an owl coming to live in our garden (future), for now I spotted cardinals, blue jays…but we didn’t move int yet so maybe there are more of them. I hope you do join in!! 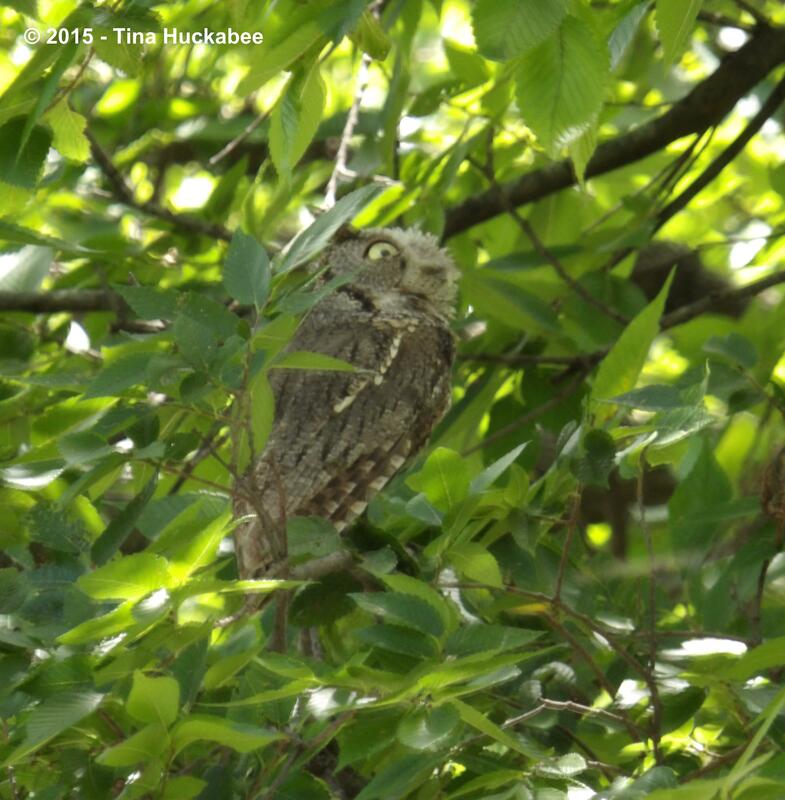 It’s wonderful to have the owls–I’m not sure the other birds, toads and rodents would agree with me, though. It would be perfect to keep the chipmunks population in check! They are very cute, I like them but then some days I get ‘dark thoughts’ towards the little rodents. 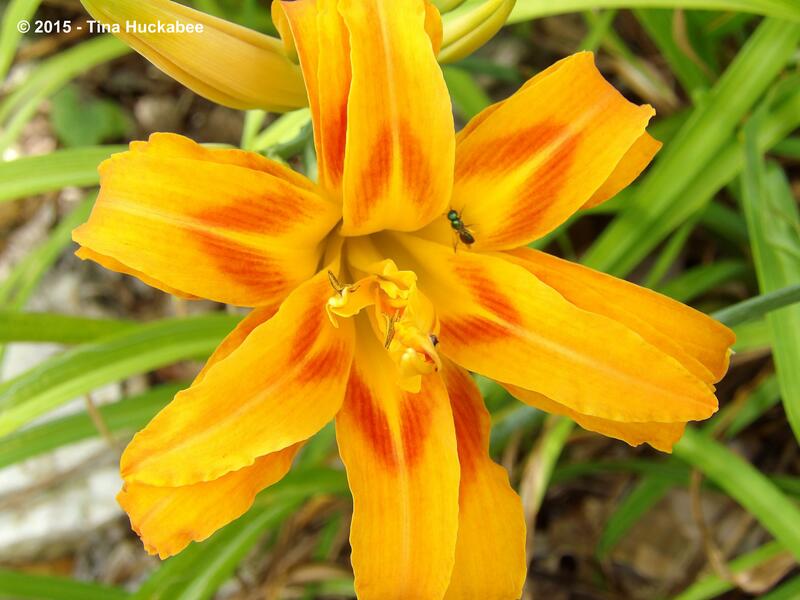 You, can eat the daylilies. Dramatic garnish for a salad. Thanks! I like memaversary. 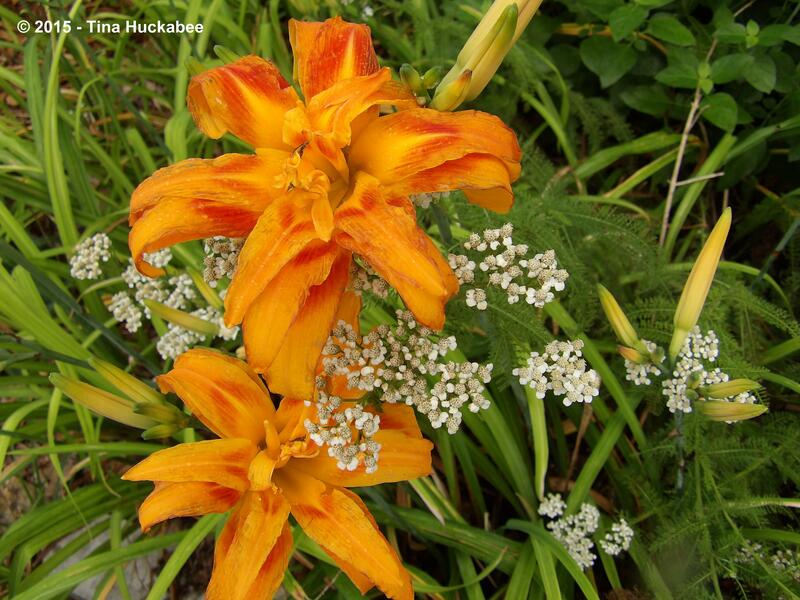 I knew about daylilies, but haven’t tried them–I guess I need to do that. Hi Tina: I know I’m late for July, but too early for August. Lately, my posts just kind of happen when they happen. 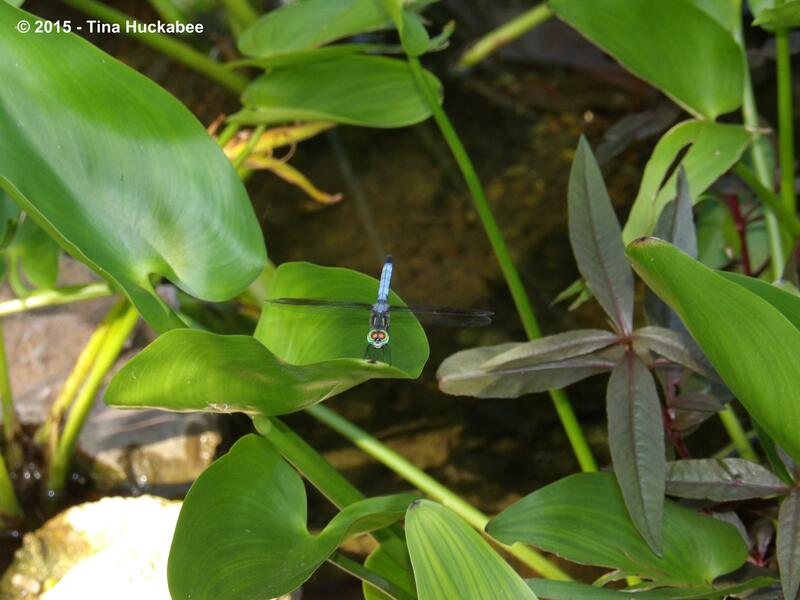 Long story, but here’s a wildlife post for July: http://plantpostings.blogspot.com/2015/07/almost-wordless-damsels-and-dragons.html. Thanks for hosting! No worries, Beth. Your lovely posts are always most welcome.